since I'm only renting my apartment for a couple of months. cause face it, a container of detergent ain't cheap. This habit carried on into my time here in Warsaw. I've searched store aisle getting ideas of what stores are more expensive. MarcPol is very expensive for tissues, toilet paper, paper towels and detergent. Biedronka is best for cleaning sprays like window cleaner. Carrefour Express has a very limited supply of cleaning and paper products. Additionally they have very few personal care items like deodorant, shampoo, toothpaste. 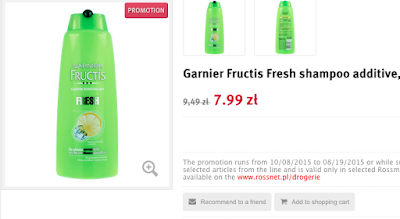 Rossmann is so far my favourite for home supplies, and personal care. First off, they have an easy to navigate online store, so you already know how the shelves will be stocked. 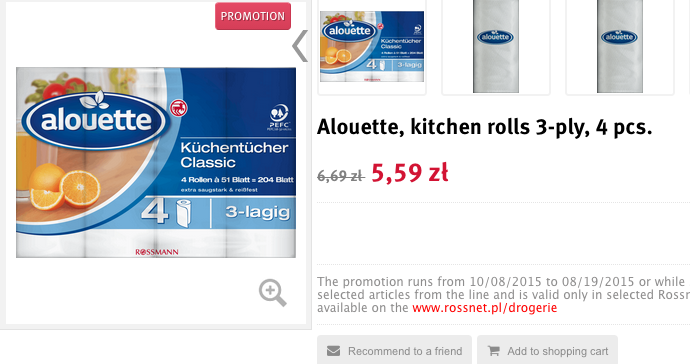 The online store also shows all the current promos, so you can walk into the store with already how much you will spend. 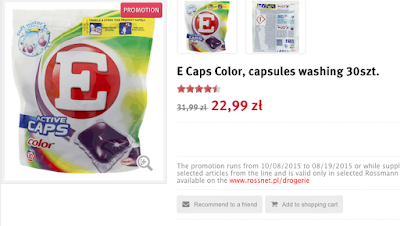 They also have a promo magazine online that shows everything and the promo price. So how much are household basics? My guests used up a box of tissues, so I figured I would restock. On my own one roll of paper towels lasted me about 2-3 weeks, but with guests I used up that roll. The four pack was the best deal. At home we go through a lot more paper towels but that's mostly because we have a dog that we need to clean up after, and using dish towels just doesn't cut it. In the US Vanish is SO hard to find, and very expensive. In the Polish markets, it's about 20 bucks for the same size bottle, but it works SO well. In MarcPol the same bottle is 24.99 PLN. Talk about a price difference! This was on sale and a better deal than the previously used Domol 20 capsules so I picked this one up. 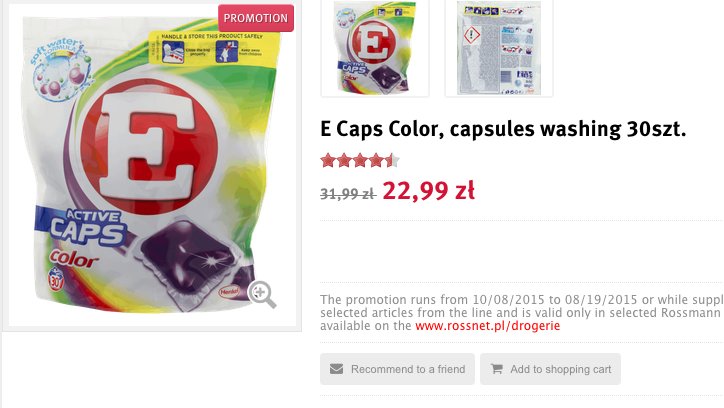 Between Domol and these on the promo price, there was a 3 PLN difference. I am running low and this was on promo too. I was going to get a different brand but since this was even less than the others, I figured might as well use good old Garnier. My total came to 49.95PLN or 13.50 USD. I think this is extremely reasonable for these items especially since it includes detergent, paper towels and stain booster. 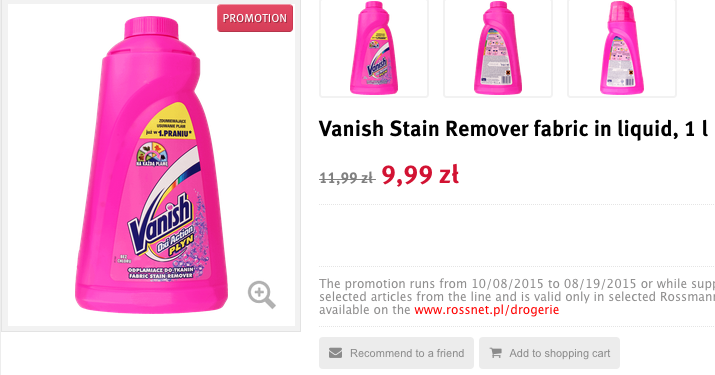 Generally, household cleaning products aren't expensive in Poland. But you can still save from your budget by knowing where to shop. I saved 5 bucks or about 18.50 PLN which could cover a nice lunch.